External hdd's are necessary for everyone who has lots of data.They are small,nice looking...but their main dissantvantage is that you cannot change the enclosed hdd.For this reason external hdd enclosures have a large demand, they simply convert a usual internal hdd to an external.Some years ago, enclosures were simple boxes, withoun emphasizing the external look, and with USB 1.1 connectivity.But in our days they are nice looking, high performance enclosures! 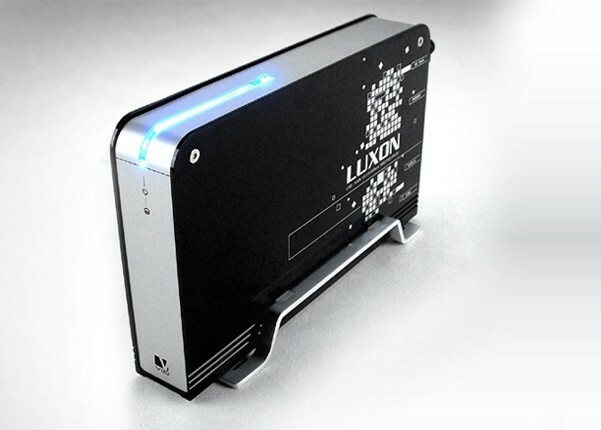 Today we will have a look at Vizo Luxon Advanced hdd enclosure. Let's have a look at its features!